Spiral Knights is a cooperative adventure in a persistent world with a focus on fast-paced action. Arm yourself and join the ranks of the Spiral Knights; stranded on an alien world, they must explore the ever-changing Clockworks beneath its surface in hopes of reaching its mysterious Core. 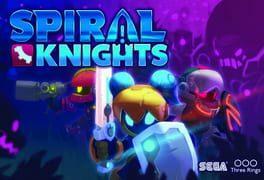 Spiral Knights is available from 4.99 to 4.99 from 1 shops.